Hospital rooms exceeded their safe capacity at Wigan’s hospitals between October and December, new figures show. Doctors say this winter has put more strain than usual on the NHS, warning that high bed occupation rates could lead to operations being cancelled. NHS England data shows that, on average, 412 out of 476 beds run by Wrightington, Wigan and Leigh NHS Foundation Trust (WWL) were occupied during the period. It is a rate of 86 per cent, above the threshold of 85 per cent, when patient safety is considered to be compromised. It is higher than five years earlier, when bed occupancy reached 84 per cent. Health bodies said the overnight numbers may underestimate the reality, because the count is taken at midnight, not the busiest time in a hospital. The data covers patients under the care of a consultant, but excludes critical care cases and those being attended by nurses. Cots for babies are also excluded. Most of the WWL beds – 448 – were reserved for patients with general and acute illnesses, such us pneumonia or kidney stones. The rate of occupancy for these beds was 88 per cent. Miriam Deakin, director of policy and strategy at NHS Providers, which represents all trusts, said: “High levels of bed occupancy put pressure on staff. “They stretch services, meaning some patients may wait longer for a bed, and impact hospitals’ ability to deal with unpredictable events or seasonal pressures. Addressing the situation across England, she added: “This winter has seen very high demand for urgent and emergency care, with more patients arriving at hospital by ambulance, and a peak bed occupancy rate of 95.2 per cent. Nationally, 88 per cent of beds were occupied between October and December, compared with 86 per cent five years earlier. 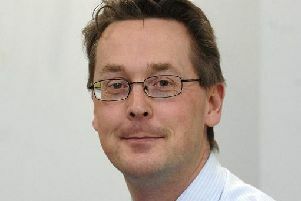 Dr Simon Walsh, the British Medical Association’s lead for emergency medicine, said: “When bed occupancy levels go beyond the recommended safety levels, patient care can be compromised as there is a greater risk of infection and hospitals are less able to cope with spikes in demand creating a backlog in the system. 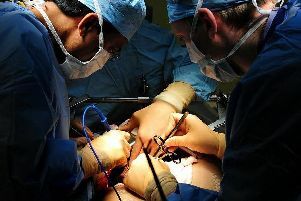 Prof Neil Mortensen, vice president of the Royal College of Surgeons, said overcrowded hospitals can lead to last minute cancellations of operations.